Clarkston Michigan 48346/48348.....Clarkston is a small Village City located within the Charter Township of Independence, Oakland County Michigan. Clarkston Real Estate has consistently maintained it's desirability not only because of the beauty of the area but because of it's close proximity to 1-75 and easy access to the greater Detroit Metro area. Independence Township has an excellent location with I-75 intersecting the township twice - M-15 and again at Sashabaw. It is the fourth largest township in Oakland County with a population of approximately 32,000 residents. Independence Township can be characterized as a growing residential community. Shopping centers and professional services have sprung up along the main thoroughfares to provide all local conveniences. Listed in the Michigan National Features Inventory are the Extant buildings of the old Henry Ford farm used for testing tractors. Independence Oaks County Park, DTE outdoor music theatre, the Pine Knob ski area and an extensive public recreation program provide recreational opportunities. Great Lake Crossings Shopping Mall is located right down the road at I-75 and Baldwin. 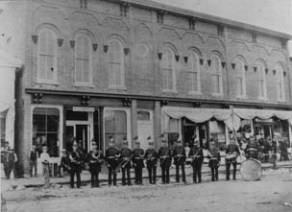 Clarkston has a downtown business district which has been designated a National Historical Site. The charm of the downtown conveys a nostalgia and picturesque setting that everyone enjoys. With numerous homes on the historical register, the City of the Village of Clarkston is a lively small town surrounded by a rapidly growing area….Clarkston Michigan has it all, a modern lifestyle with home town charm. Davisburg Michigan/Springfield Twp 48350......Springfield Township in Oakland County Michigan was named for the numerous springs in the area and contains the headwaters of the Huron, Shiawassee, Clinton and Flint Rivers. Located in Northwest Oakland County, Springfield Township is a community that takes pride in its abundant natural resources and small-town charm. This 37 square-mile community is centrally located within 20 minutes of both Flint and Pontiac, two I-75 interchanges provide easy access from Springfield to the major centers of Michigan. Several Community parks, Springfield Oaks County Park and Indian Springs Metropark provide recreational swimming, hiking, golfing, biking and horseback riding. In the heart of Springfield is the little Town of Davisburg Michigan. Serving as Springfield’s downtown district, Davisburg MI is home to the Township Hall, charming shops and services. Springfield Township and Big Lake have remained one of Oakland County’s little secrets! Springfield Township, like much of the surrounding area, has lakes and rivers trailing through it. Summer cottages and homes were built on the edges of these lakes and rivers, adding some late Victorian architecture to the mix of earlier Greek, Gothic, and Italian Revival style buildings. Even so, for a very long time, Springfield remained mostly a farming area, with large tracts of arable land, and old farmhouses dotted in the fields. Springfield Township is a treasure waiting to be discovered! 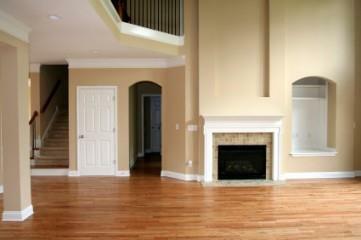 For those looking for beauty, tranquility and affordability, you can’t go wrong with Springfield Township. North Oakland County is filled with activities. Come and enjoy sports at the Palace of Auburn Hills or if you like to ski or take in a concert, try DTE Music Theatre, just a stone’s throw from Springfield Township. Located just a few minutes away is Michigan's largest mall — Great Lakes Crossings or wile away an afternoon at Canterbury Village where it's always Christmas. Ortonville Michigan 48462........Ortonville, a northern rural village in Oakland County, was founded in 1848 by Amos Orton, who built a dam across Kearsley Creek to furnish water power for his sawmill. The town was platted in 1866 and incorporated as a village in 1902. It is located about halfway between Pontiac and Flint. According to the census of 2010 the population of the village of Ortonville is 1,422. The population of Brandon Township is 15,175, and nearby Groveland Township is 5,476. Surrounding towns include Goodrich to the north, Oxford to the east, Clarkston to the south, and Holly to the west. Lake Orion Michigan.......The Village of Lake Orion was developed in the early 1900's as a summer resort with cottages clustered around the lake. Over time, these small summer dwellings were enlarged and converted to year-round homes. As interest in waterfront property grows, it is not uncommon for smaller lakefront homes to be bought and torn down for the construction of larger, more expensive housing. The commercial area and downtown are situated along M-24, the major north-south highway connecting Pontiac with Lapeer. Lake Fenton is an 845 acre All Sports Lake in the unincorporated community of Lake Fenton in the Chartered Township of Fenton, Genesee County Michigan. 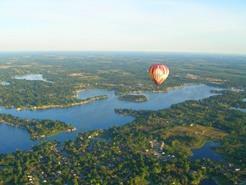 Fenton Township boasts many beautiful lakes, Loon Lake, Lake Ponemah, Silver Lake, just to name a few. All Sports Lake Fenton is located between Torrey and Fenton Roads, north of S Long Lake Road and south of Wiggins Road. Fishing, Boating, Swimming.......... Fenton area Lakes have it all!!! Find the Best in Lakefront Living......Call Kari @ 248-459-9789 or Jen @ 248-212-2454 for a complete list of available Fenton area Lakefront Homes for sale. 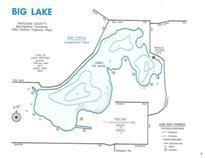 Silver Lake in Fenton, Genesee County Michigan is a 310 acre All Sports Lake with 14 acres of Islands. Silver Lake Ski Club holds performances on Tuesday's @7pm during the summer months. 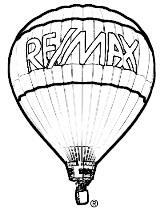 At ReMax Encore we are committed to providing excellent service while assisting you in your buying or selling process. We employ Realtors® who distinguish themselves in today's real estate market. It is the attention to the fine details that set our real estate professionals apart and continue to make ReMax Encore THE place to buy and sell real estate. Looking in a different area?